Paul Ring, 2016 MTTI Computer Service Technician / Network Installer Graduate Success Story. I love my job and the people I work with. Working with technology at WGBH is an awesome job. I got to work with computers and networks for seven months at MTTI and now I have my dream job. I am happy and content—and making a good living. What do you do when the career you love is in a declining industry? I had always imagined that journalism would be my life-long career. Computers have always been a side interest for me. I have a fair number of computers—and a network—at home. I was always the guy my family would call when they had computer problems. I hadn’t been in school for about 22 years. It was scary to think about being back in a classroom. I worried about having to study and take tests again. The instructors at MTTI are supremely knowledgeable and supportive. Ken and Boris are more than willing to answer questions. They’ll work with you on subjects until you understand them. I learned to organize my studying. To prepare for in-class tests and the two CompTIA A+ Certification exams, I created a worksheet. I listed the areas in which I was weak. And I took practice tests. When I got into the room to take the A+ tests, there were no surprises. These certification exams were easy for me. I was surprised when, at the program’s completion, I received the Award for Highest Academic Average. A week before the start of internship I began working at Cox Communications. I sent in the application one morning, and they contacted me that afternoon. The Tier One position at Cox was a great way to polish my customer service skills. MTTI is here to help you get that first job and work up. You have to pay your dues. 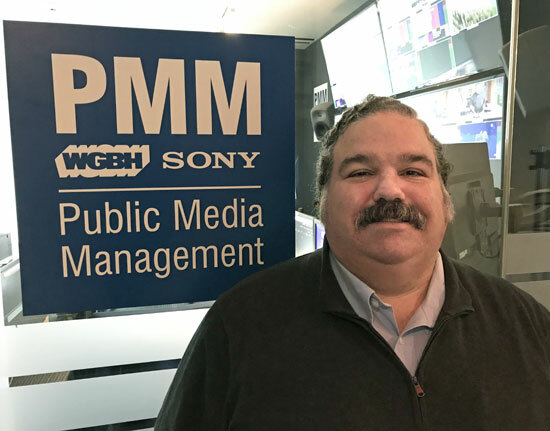 The six months I spent at Cox was the last piece of the puzzle to get me the job at WGBH. Those months I spent on the phone dealing with both ‘good’ and ‘difficult’ customers were very valuable. Moving to WGBH has been a better fit for me. My tasks at WGBH are different each day. Unlike other jobs where you are setting up 30 laptops for a department, each day brings new problems to solve. This is not a problem if you are well trained. You need good customer service skills to work with people in this job. 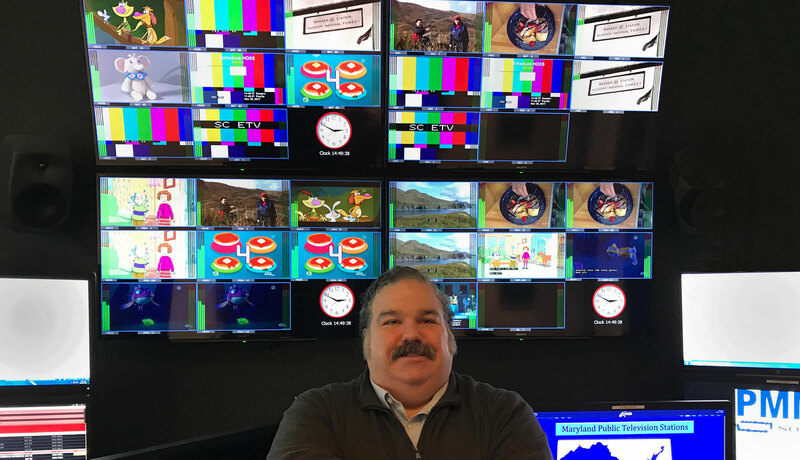 I am the bridge between technology vendors and WGBH’s Public Media Management customers, nine national public television stations: Boston, Springfield, New Hampshire, Detroit, Alabama, Maryland, Mississippi, Louisiana and Arizona. Most of what I learned at MTTI, I’ve used on the job—especially networking. Working on the Public Media Management Project demands knowledge of computer networking. It’s also helped that I can open up a computer and work on the components. The cross-training with fiber optic and copper network cabling at MTTI has helped on the job. I am confident using the cabling skills in the server room at WGBH. If I didn’t have the job at WGBH, I could be happy running cables—there is a certain amount of ‘Zen’ in doing that and in wiring punch-down blocks. The most important thing at WBGH is to keep the nine client stations up and running. You make sure each station has a signal. When possible, we are proactive—by knowing the system and its weaknesses, we can look for things that might go wrong. Quality control begins in advance of broadcasts. I play out files to make sure audio and video are in sync, and to ensure there are no drop-outs in satellite records. I monitor broadcast feed from multiple channels at the nine stations. An alarm will sound if there is no picture or sound. It might just be the fading in and out of scenes; or the playlist may have stopped. If the channel is black, I can remotely reroute a satellite feed to get them back on the air while I troubleshoot the problem. We will lose half of our viewers if we are off the air for 10 minutes! If a computer dies or software crashes, we try to get them back on the air in less than five minutes. I work to get the channel back on the air, then I can do the ‘deep diving’ to find out what is wrong and fix it. I get to see things from beginning to end at WGBH. When there is a problem, I start the process of fixing it. If it is not fixed on my shift, and I hand it off, I will find out later how it was resolved. I learn from that. If it happens again, I will know what needs to be done, so it can be fixed more quickly. I can even use my writing skills from my journalism career. My supervisor will say, ‘Hey, Paul, can you write up this procedure?’ They recognize that I can do that. Journalism and computer networking may not be an obvious route for displaced workers. If you want to change careers, look at your hobbies and interests. If you enjoy something as a hobby, you are halfway there. Recently I got a raise and a bonus. When my career in journalism was declining, I wasn’t getting raises. After I was laid off, Ward encouraged me to pursue my computer interests as a career. Now I feel I am embodying what Ward always says, ‘Life’s more fun doing something you enjoy’.